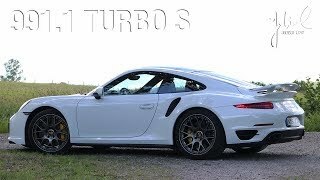 Porsche is celebrating the 40th anniversary of the 911 Turbo and on this occasion it has revealed the 911 Turbo and Turbo S, ahead of a public debut scheduled for September at the 2013 Frankfurt Motor Show. 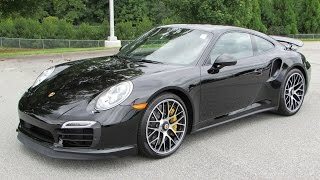 The Turbo S is powered by a rear-mounted, turbocharged, 3.8-liter six-cylinder engine with direct fuel injection producing 560 hp. Porsche offers two turbochargers with variable turbine geometry on a gasoline engine. The Turbo S accelerates from 0-60 mph in just 2.9 seconds with a top speed of 198 mph. The all-new 911 Turbo S comes with an array of new features, including an new all-wheel drive system, active rear axle steering, adaptive aerodynamics and full-LED headlights. The S model is well equipped on the interior, offering features such as an exclusive interior in a black/Carrera red color combination and standard Sport Seats Plus with 18-way adjustment and memory. In addition, the seat back shells are upholstered in leather with double cap seams and various elements in carbon look. For the first time, a BurmesterÂ® system is also available as an optional feature. A radar-controlled cruise control system, camera-based road sign recognition, and speed limit recognition are other new options being offered. The new model arrive on the market at the end of 2013 in the United States. 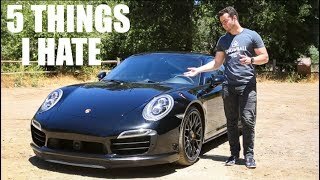 The Porsche 911 Turbo S is priced from $181,100, not including a destination charge of $950.